Midi Fighter 3D, MIDI Control Surface for DJ from DJ Techtools. 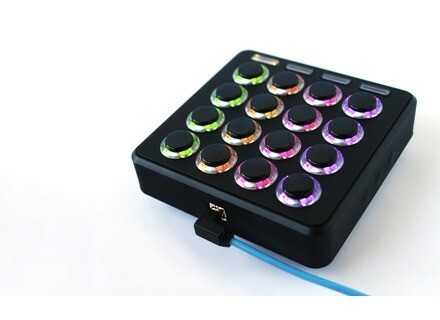 DJ TechTools has introduced the Midi Fighter 3D MIDI controller. Midi Fighter 3D is designed to "bring the controller off the table, using physical movement to control sound," according to the company. The hardware combines a grid of 16 arcade buttons with three dimensions of motion tracking. Three sensors track the controller's orientation in space, and each button has an analogue expression message. All motions send out messages that can be mapped to any software supporting MIDI, DJ Techtools says. 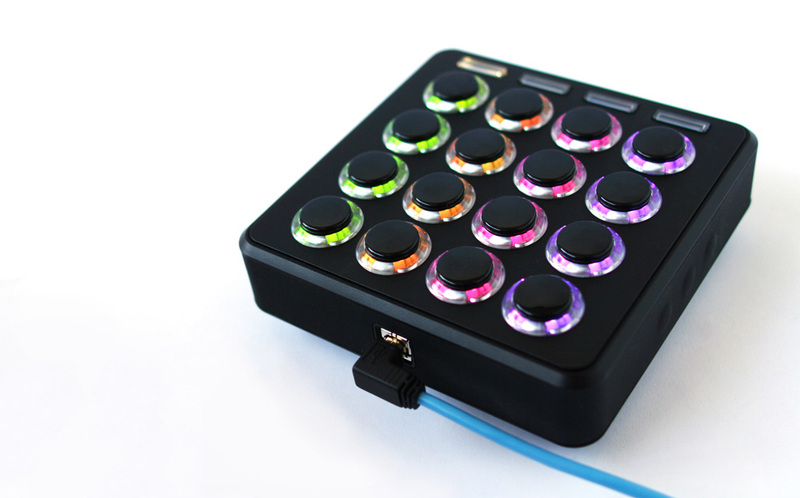 The Midi Fighter 3D also features customizable RGB arcade buttons that can be configured to display a range of colors, patterns or effects. Rather than labels, you can reconfigure the buttons to display unique colors. [Musikmesse] Pioneer DJM-850 Pioneer introduces the DJM-850, with two colour choices, four channels, and one hundred effect combinations. Rane/Serato Sixty-One & Two Shipping Rane and Serato announced that the new series of Rane mixers are shipping now. Denon DJ SC3900 Denon DJ introduces the SC3900: Digital Turntable and Media Controller with 9-inch Active Platter.